Fat Yoga welcomes everybody; whether you’re a first time yogi, have dabbled in online training or have even tried out a few studios. 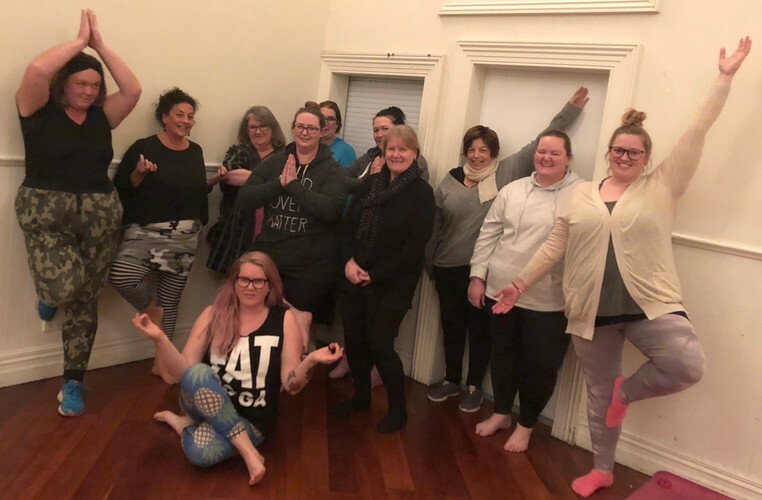 Fat Yoga is a safe and welcoming space where all bodies can feel comfortable exploring yoga with the support of an understanding and non-judgmental community beside them. Our classes are adaptive and our yoga teachers are trained to work with different body types, ages and it also makes no difference what your fitness levels are as we are always offering alternatives or variations to poses. We run 6-week courses or you can join a casual class. Check out our website or email - fatyoganz@gmail.com.